A good music book will take you on a guided tour of a new genre, all while being entertaining in its own right. A great music book will do the same thing, only about an area of music you thought you already knew a lot about. 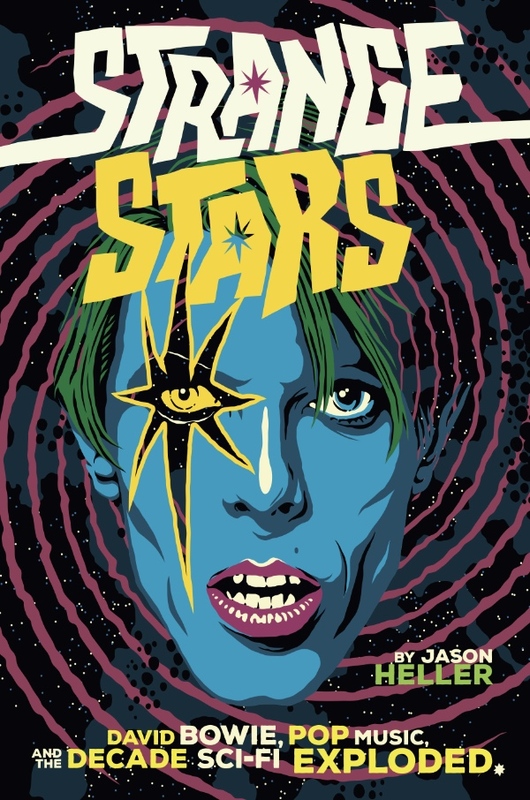 Jason Heller’s Strange Stars is a great music book. While I’d never call myself an expert, I certainly know a fair bit about science fiction in pop music, as music and science fiction are two of my absolute favorite things. David Bowie, too, for that matter. But Strange Stars made it apparent how little I really knew, particularly about the 70s, where the two collided urgently and frequently. Each chapter covers a single year of the 70s (plus one chapter on the end of the 60s and another on the beginning of the 80s), diving deep into the rock, pop, funk, soul and disco that incorporated science fiction tropes. Heller also delivers a solid amount of context for the music, touching on everything from the novels to the technology that was coming out alongside the tunes. Despite Heller’s lively and imaginative musical descriptions, the book is best enjoyed with easy access to Spotify and YouTube (for the really obscure cuts). The problem, if you can call it that, is that the writing is engaging enough you won’t necessarily want to tear yourself away from it to hear the music under discussion. Erudite without ever being dry or excessive, Heller has wisely chosen to deliver his payload of musical knowledge through a series of overlapping narratives, telling the stories behind the major players of the day. Bowie himself, as the subtitle promises, serves as something of a throughline, offering a point of comparison and contrast as his love affair with science fiction waxes and wanes throughout the decade. It’s not a book about Bowie, precisely, though he gets more space than any other single artist. He’s simply an anchor to the larger story of spaceships, time machines and aliens of the pop world. That’s the real story here, and Heller tells it with depth and nuance, offering a sparkling portrait of the point where pop music left the planet and was changed forever. Cory Casciato is a Denver-based writer with a passion for the geeky—from old science fiction movies to brand-new video games. His work has appeared in The AV Club, Colorado Public Radio, Westword and many other places. He really likes zombies.